The French Baron Shirt is a decorative yet simple shirt that could be considered a staple of renaissance style. Made from quality batiste fabric, this shirt is an elegant garment that no self-respecting renaissance noble would be seen without. Batiste is a light-weight, cotton-based fabric, which makes this shirt incredibly comfortable and extremely breathable, while still remaining functionally opaque. This shirt is available in a few basic colors, all of which are tastefully chosen to compliment other renaissance-based styles and looks. The skirt is ruffled at the collar and features an included scarf and decorated metal brooch, which can be fastened around the neck like a long cravat. The sleeves are full-length and loose-fitted, with ruffled cuffs echoing the design of the collar. 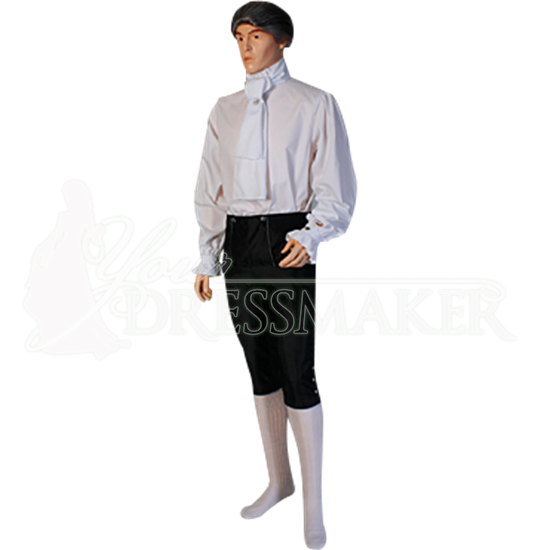 This attractive renaissance-styled shirt is pictured here with a pair of knee-length breeches, which are not included with the actual shirt. 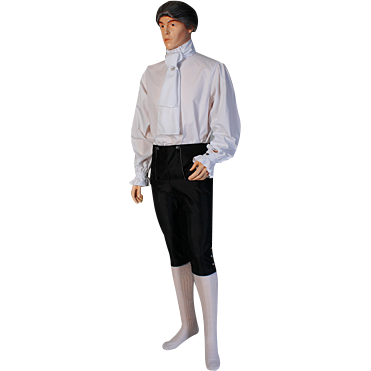 The simple yet elegant French Baron Shirt is a great shirt to use with any of your renaissance or medieval costumes. 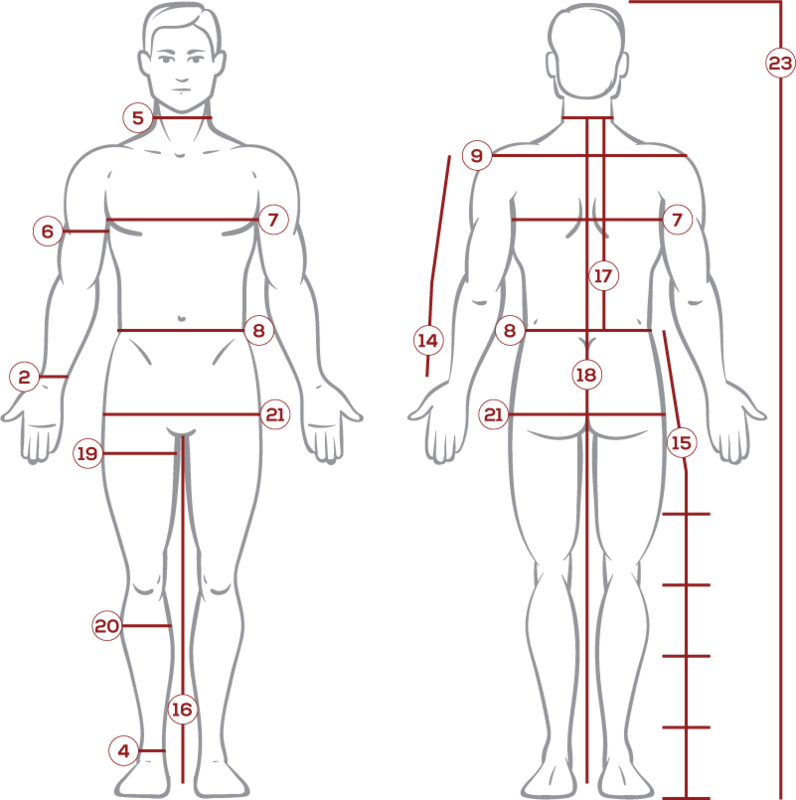 It gives a noble, impressive impression without too much additional decoration. 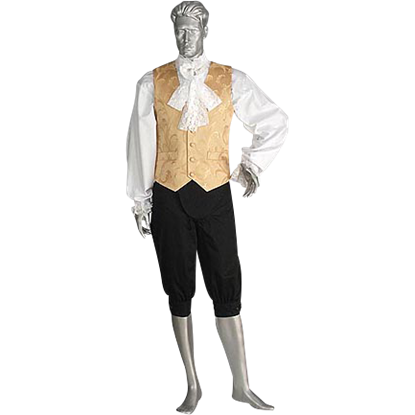 The Noble's Renaissance Vest is a beautiful baroque vest that is sure to complement any noble look. Made from quality fabrics, this attractive vest features a simple, yet classic design that looks great a gentleman from almost any era. 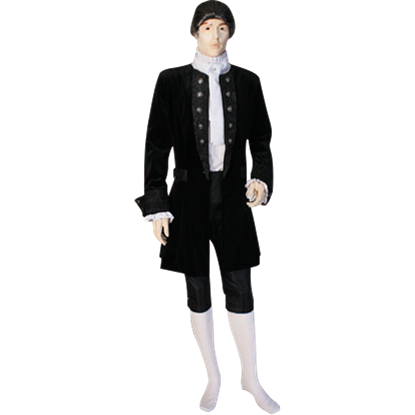 The Baron's Frock is a collarless mens tunic-styled frock that is designed in the fashion of baroque-era aristocracy. 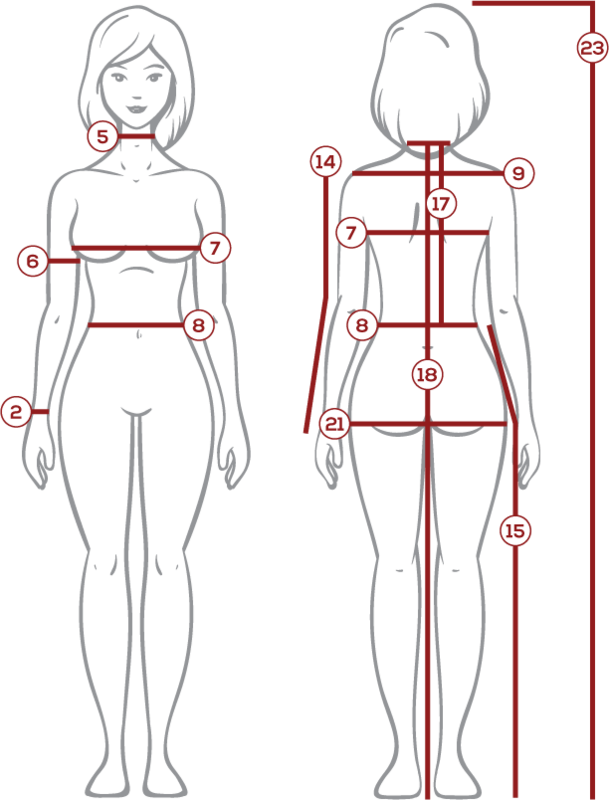 The garment is an exceedingly stylish jacket that looks perfect when combined with any other regal or noble looks.